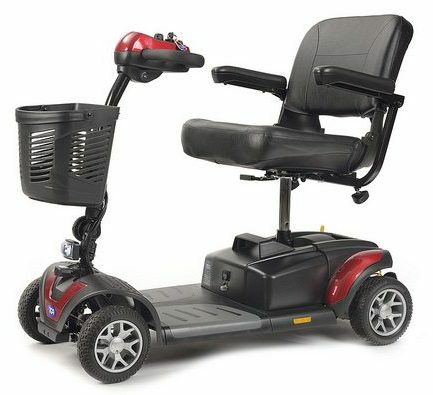 The DM Compact is like something out of a James Bond movie, get yourself down to our showroom to see this for yourself! 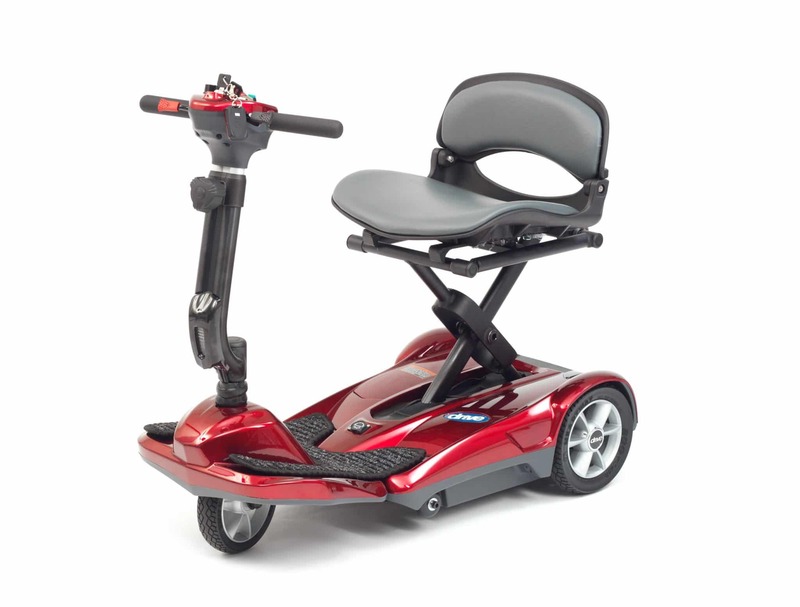 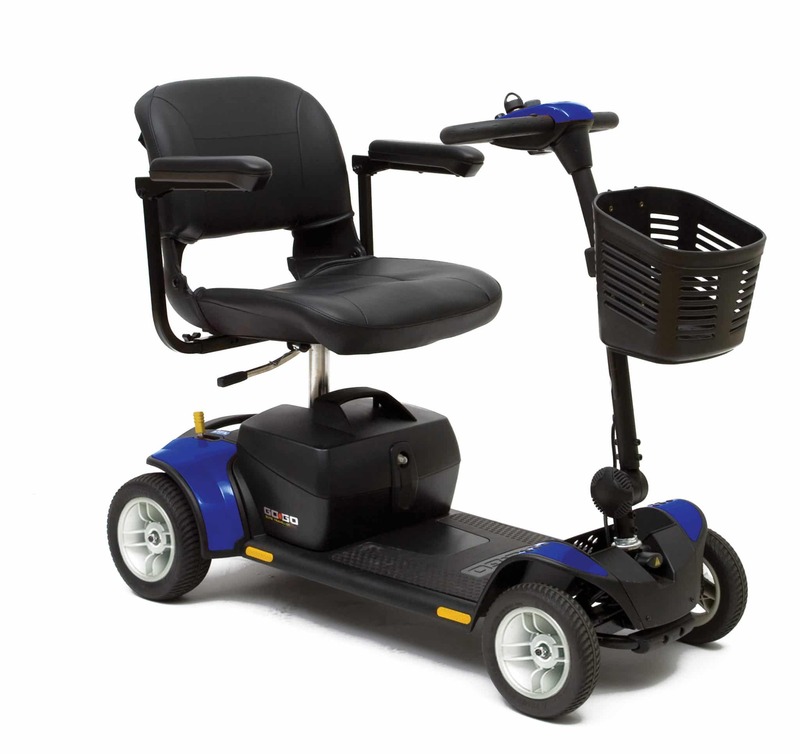 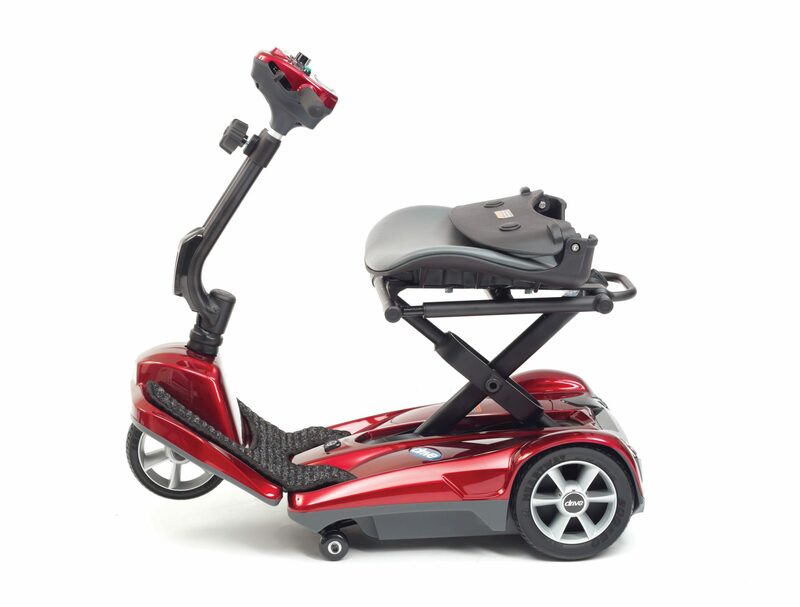 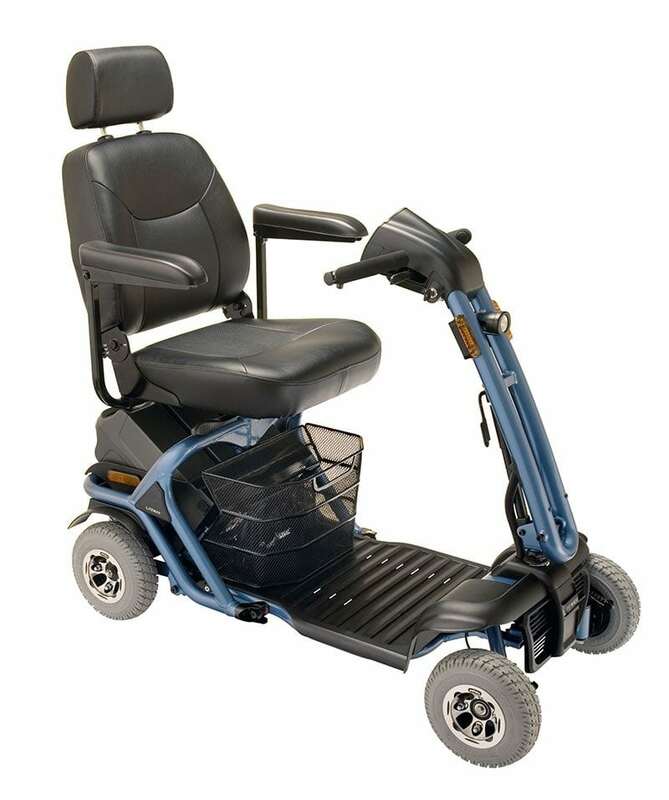 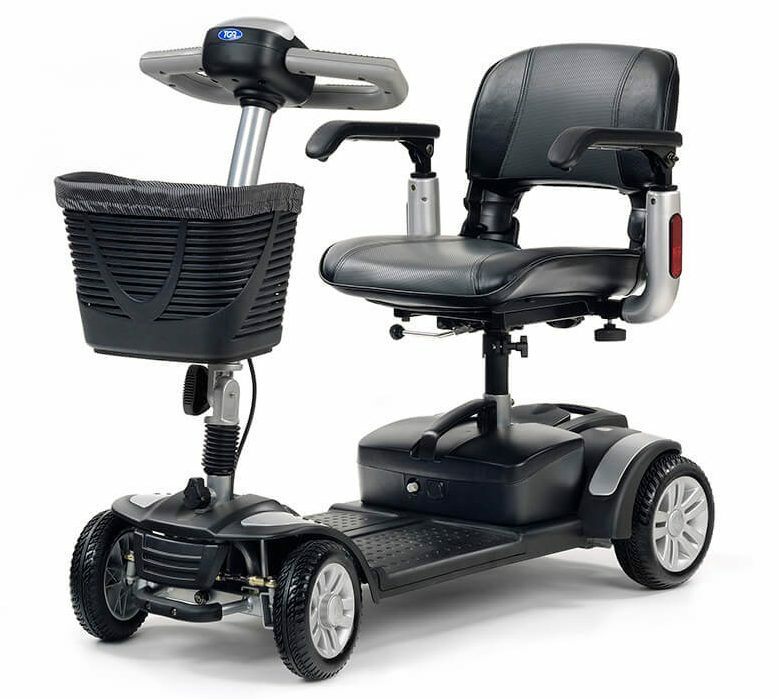 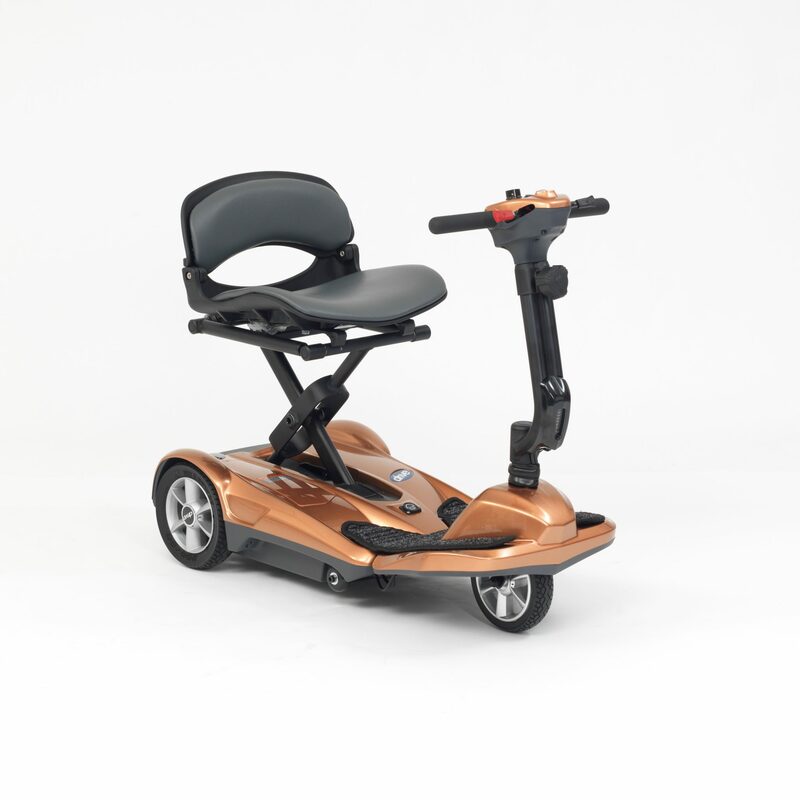 The lightweightCompact from Derbyshire Mobility has been designed to allow users to simply transport and store their scooter, making it ideal for easy travelling. 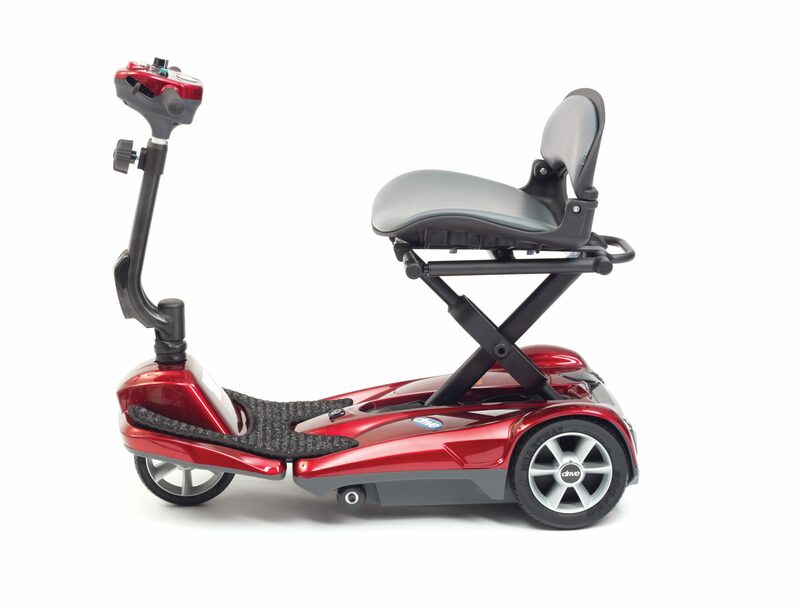 The scooter weighs a lightweight 20kg, allowing users to store the scooter free of charge when travelling by coach. 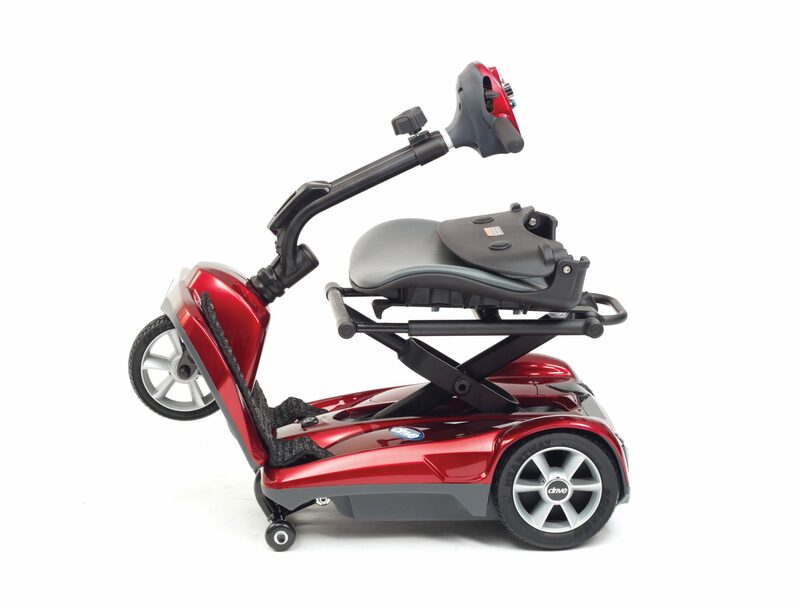 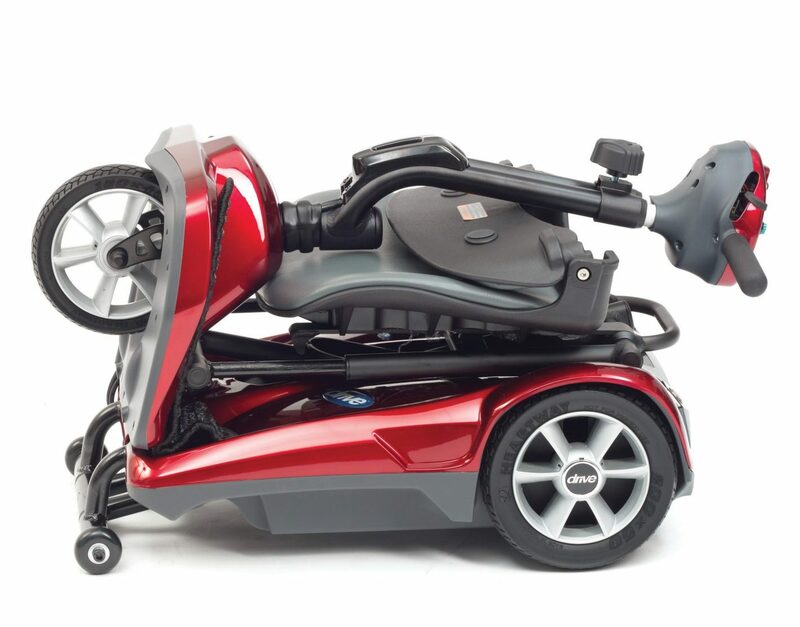 The scooter is simply folded by an electronic key, so no bending or struggling is required to get it ready to store. 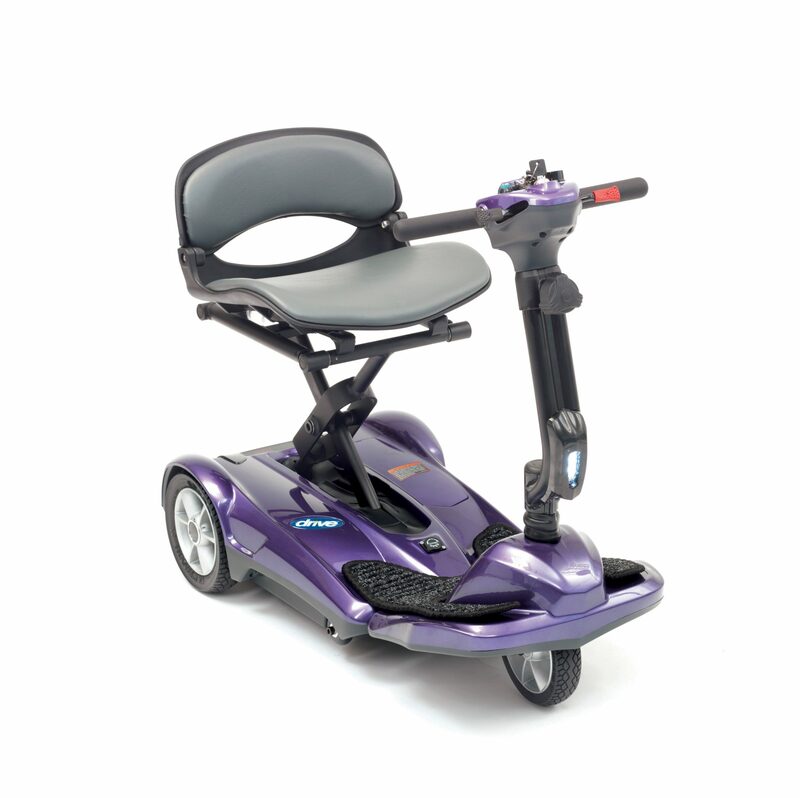 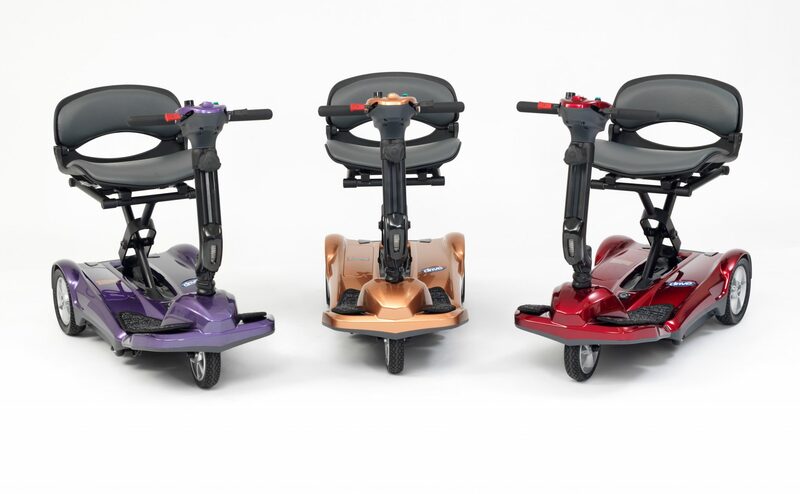 Availble in Purple, Red and Copper, this scooter is a real head turner, and ideal for holidays – it even comes with its own case!